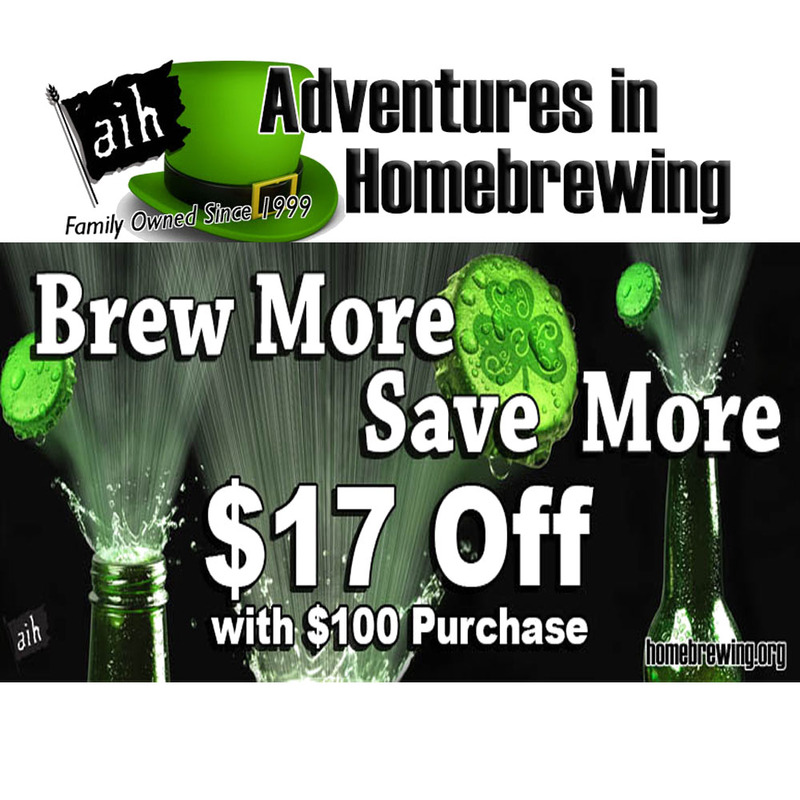 Promotion Details: Save $17 on your $100 Purchase at Adventures in Homebrewing! Sale Description: Right now at Adventures in Homebrewing you can save $17 on your purchase of $100 or more! This special promotion also works on Homebrewing.org free shipping items and sale items which means that you can save big if you act now. This is a limited time Saint Patrick’s Day home brewing sale, so you only have until March 19th to take advantage of this Adventures in Homebrewing promotion! 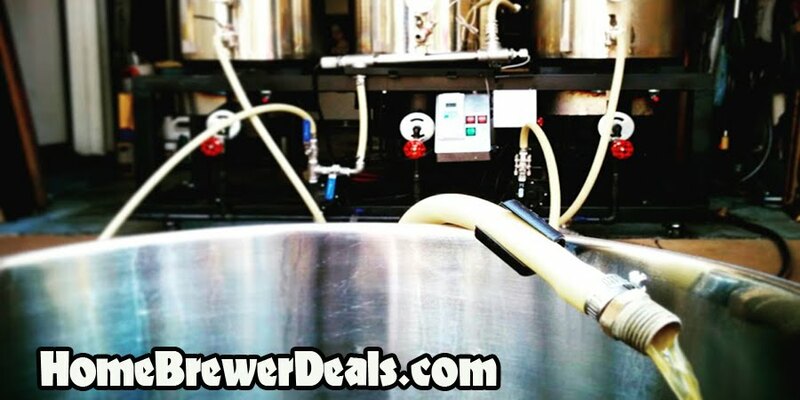 Coupon Description: Right now, MoreBeer has a promo code that will save you 10% On MoreBeer.com’s Most Popular Home Brewing Items Including Pliny the Elder Beer Homebrew Recipe Kits! They have some really great items on sale including stainless steel mash paddles, PBW home brewing cleaner, stainless steel home brewing pumps and much more! Also, do not forget, MoreBeer offers Free Shipping on orders over $59, so you can save big right now!